Iowa is following a national trend toward a rapid expansion of health care jobs as its population grows older. 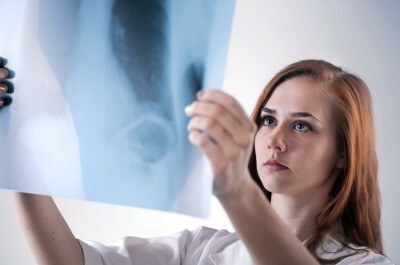 With a rising medical need, the demand for health technologists is expanding, making the next few years a prime time to pursue a career in radiological technology. In the next decade alone, these jobs are predicted to increase by 13%, and the state of Iowa, like the rest of the nation, is expected to have more job opportunities with competitive pay to qualified professionals. According to the US Bureau of Labor, the mean annual salary for a radiologic technologist in the state of Iowa is currently about $51,780, with a mean hourly wage of $24.90. While this is significantly lower than the current national mean annual salary, which is about $60,320, Iowa’s lower-than-average cost of living, especially in its rural areas, helps keep expenses down. Like in other states, salaries of qualified technologists can vary, with current low ranges around $38,180 and high ranges around $67,900. Influences on salaries include factors such as job title, employer and level of experience. More information on Rad Tech salaries in Iowa. Radiological technology professionals are required to have an official license in order work. Each license covers a 1-year term and includes mandatory continuing education classes, which vary from 6 hours in 24 months to 12 hours every 12 months, depending on the type of radiological practice. To fulfill state licensing requirements, Iowa joins 37 other US states in using the American Registry of Radiologic Technologists (ARRT) certification exams. The state of Iowa is currently home to 13 radiography programs that are accredited by the ARRT. These radiology programs may offer a Certificate, an Associate’s, a Bachelor’s in Radiology Technology, or a combination of the three. Other options out-of-state for future X-Ray technologists are Chicago, Illinois, Omaha and Lincoln, Nebraska, Kansas City, MO and Minneapolis. Community colleges and public universities will charge higher tuition fees for non-resident students. For additional information, resources and networking, both professional radiologic technologists and students alike should consider joining the Iowa Society of Radiologic Technologists (ISRT). The Joint Review Committee on Education in Radiologic Technology (JRCERT) provides additional information on education in the radiology field.